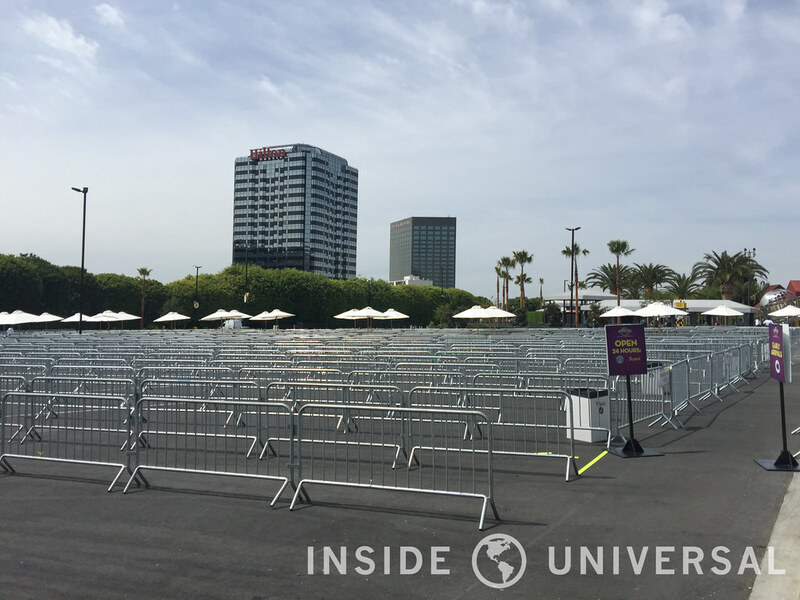 It’s less than 24 hours until the Wizarding World officially opens the gates and the crowds are expected to be beyond massive. 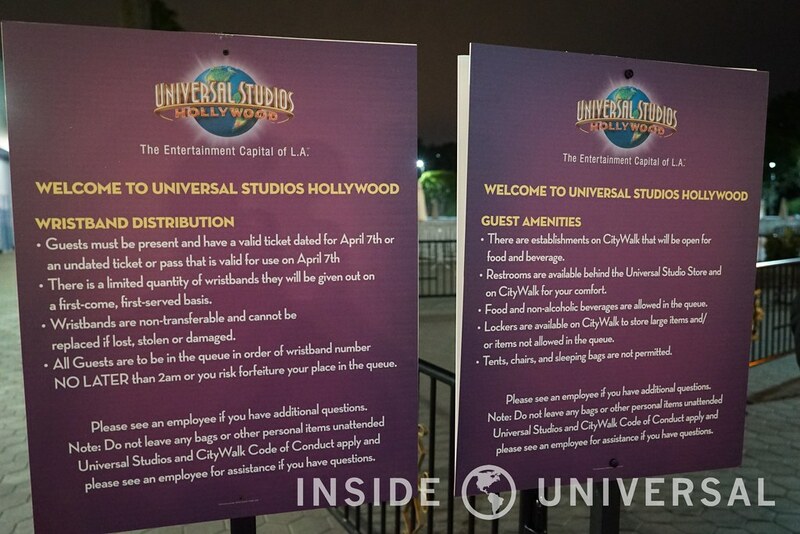 As with anything else Universal has done regarding this date, the park has tried to be prepared as much as possible. But because plans like this always involve an insane amount of details, expect this to change and change often. We will do our best to be accurate at the time this article is published, but stay glued to our Twitter account for more updates. 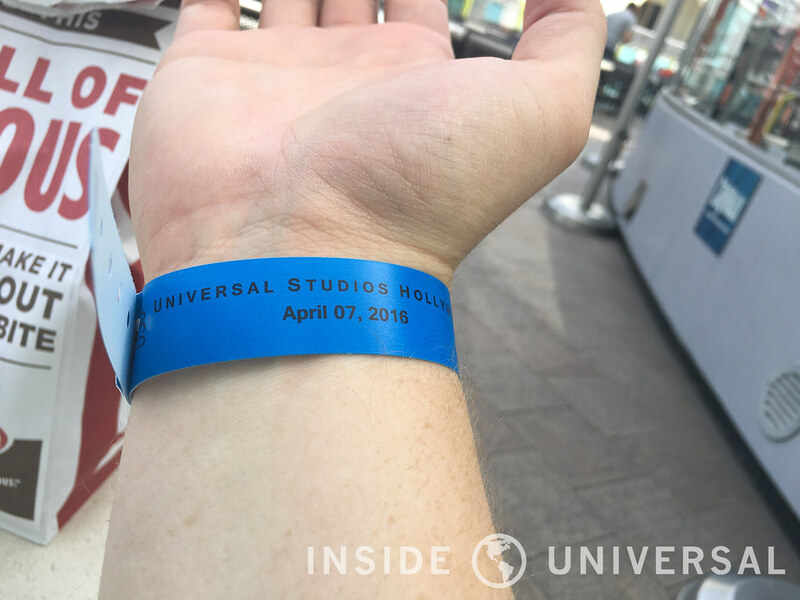 Wristbands are currently being distributed to enter the park for opening day tomorrow morning for guests entering Universal City before park opening. These are numbered and guarantee you that spot in line. As of now we are being told only 250 wristbands will be passed out, that number could change as Universal sees fit. To get a wristband you’ll need to get over the Woody Woodpecker parking lot near the front of the park. The spots are filling up quickly. Once you have that you are free to wander, but be careful not to stray too far as the queue location is possible to change over the course of the next few hours. 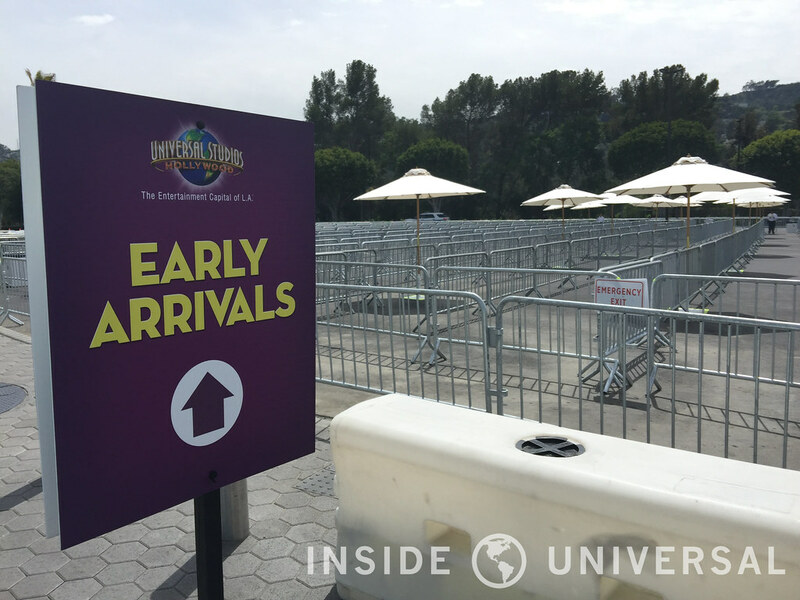 If the queue shifts, you may lose your location in line – so do arrive back early. At the moment, wristband wearers are being categorized by colors. The first group (blue) has been fulfilled, while the second group (yellow) is currently being filled up. As for other locations throughout the night, the Starbucks in CityWalk and Popcornopolis are both going to stay open for a full 24 hours so that might be a good rest spot provided it doesn’t get overwhelmed by Muggles. The Universal Studio Store is closing at midnight and reopening at 5AM, so there may be goodies in there to find in the early morning. But the important info is that early entry begins at 6:30 AM with the official opening at 8AM. • Wristbands are non-transferable and cannot be replaced if lost, stolen or damaged. • All Guests are to be in the queue in order of wristband number NO LATER than 2am or you risk forfeiture your place in the queue. • There are establishments on CityWalk that will be open for food and beverage. • Restrooms are available behind the Universal Studios Store on CityWalk for your comfort. • Food and non-alcoholic beverages are allowed in the queue. • Lockers are available in CityWalk to store large items and/or items not allowed in the queue. • Tents, chairs, and sleeping bags are not permitted. On top of that, police will be controlling traffic all along Cahuenga, Lankershim Venture and Barham. So expect copious amounts of traffic getting in. There are countless thousands of people just like you trying to get in tomorrow. We recommend leaving as early as possible since dozens are already lining up and park tickets are already sold out for tomorrow. We hope you will exercise patience over the next few tenuous days as the day many people have patiently waited years for. These plans are likely to change over the course of the next hours multiple times. 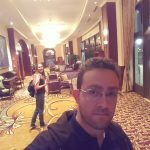 We’ve gotten some conflicting statements already and have done our best to prepare what we believe to be accurate above all else. Please check back for the latest information and updates on The Wizarding World of Harry Potter’s grand opening.